The move is backed by recent research, which found that FRijj consumers wanted a larger shareable portion size that can be kept in the fridge. 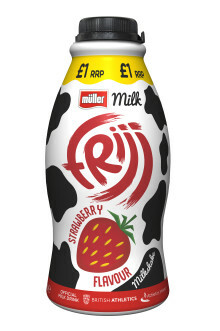 Following the success of Müller’s reformulated FRijj recipe, and the recent move to relaunch in on the-go 400ml portions, a pack size that was favoured during consumer research, Müller is aiming to make the Official Milk Drink of British Athletics* more relevant in additional consumption occasions throughout the day. The 900ml offering allows the dairy company to also play in the take home consumption occasion alongside larger juices and soft drinks. 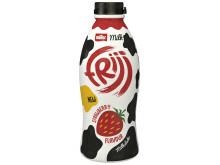 The 900ml SKUs are available in FRijj’s two most popular flavours: Strawberry and Fudge Brownie, with an RRP of £1.50. 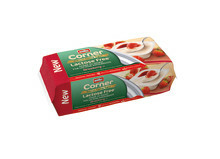 Additional flavours from the existing 400ml on-the-go range may also be introduced in the future. 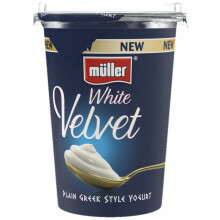 Müller is investing significantly in the UK as it continues to design the most efficient manufacturing and logistics network possible, including the creation of a new centre of excellence for milk drinks and fresh cream at its Severnside site. 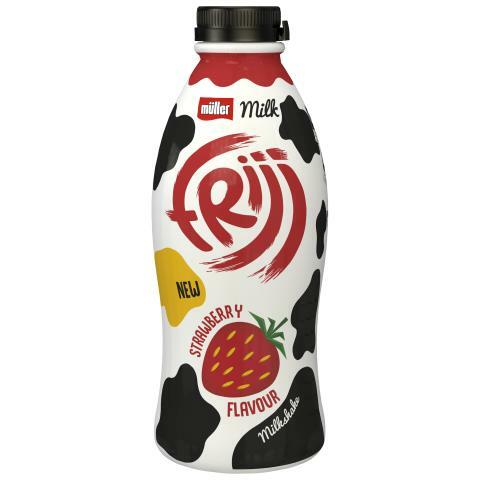 Alongside an almost 25% increase in marketing spend over the next three years, the dairy company will grow and innovate brands, like FRijj, which are made in the UK with milk produced by British farmers. 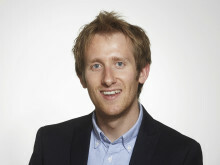 “Milk drinks are seen as a major area of opportunity for the dairy industry, and it’s our job to constantly re-evaluate our portfolio and improve it to meet the changing needs of the consumer. “Our research found that consumers wanted a larger shareable portion and an on-the-go 400ml portion, and we’re really excited to have both in the market. 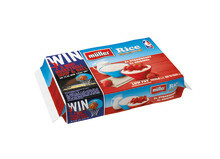 Müller has announced an expanded partnership with the National Basketball Association (NBA) which will see the dairy brand become an Official Partner for the upcoming NBA London Game 2018.